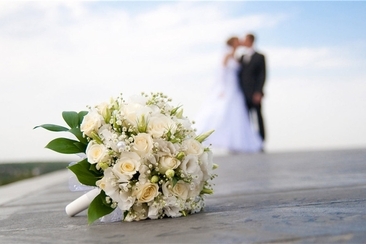 Why Choose Fake Flowers for Wedding? 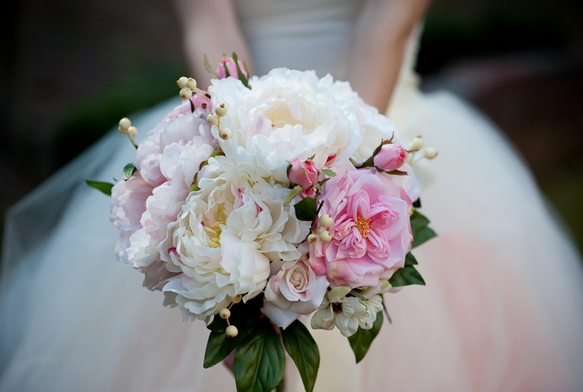 It's true that flowers play an imperative role in weddings. After all, no bride is truly blissful until she gets her hands on that beautiful bouquet. Plus, who can forget those priceless centerpieces and boutonnieres that perk up the atmosphere and turn your fairytale wedding into a reality? However, if you are trying to cut costs, you'd rather not spend most of your wedding budget on real flowers, making fake flowers your first choice. 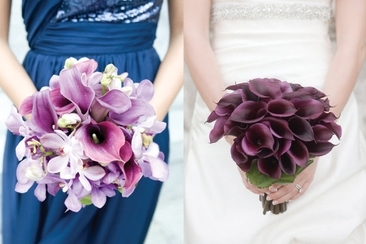 Rest assured, there are many advantages of using fake flowers for wedding over real ones. Over the years, brides have opted for real flowers as their first choice. You have to admit real flowers have their own natural scent and beauty that just can't just be replaced. However, today's real flowers come with some serious limitations, hence you might as well consider choosing artificial flowers for your wedding. Want to have a summer wedding decorated in roses? No problem. Artificial flowers are always in, no matter what season or time of the year it is. Regardless of the month and weather, you will find the flowers you have always wanted for your wedding. Your wedding day is a dream you have held onto since you were a child. There's no need for you to settle for any other flower just because your first choice aren't in season. 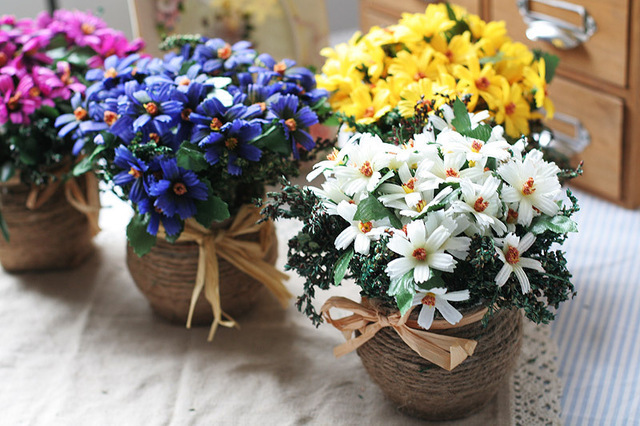 If you are worried artificial flowers look like those crippled and dusty flowers your Aunt once stored in her living room, rest assured you will be surprised how realistic artificial flowers may seem. Even the most professional florists are dazzled by these fresh flower imitators. 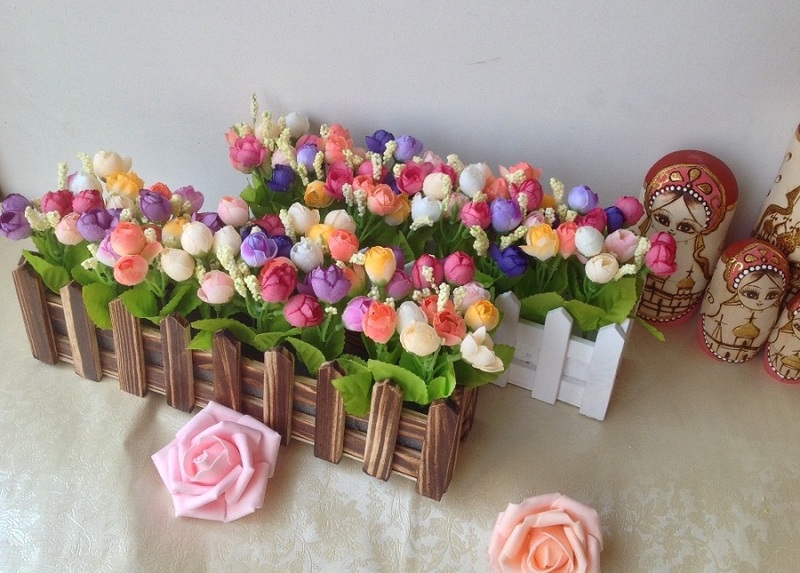 Opt for flowers created by latex as they are by far the most lifelike flowers you will find. 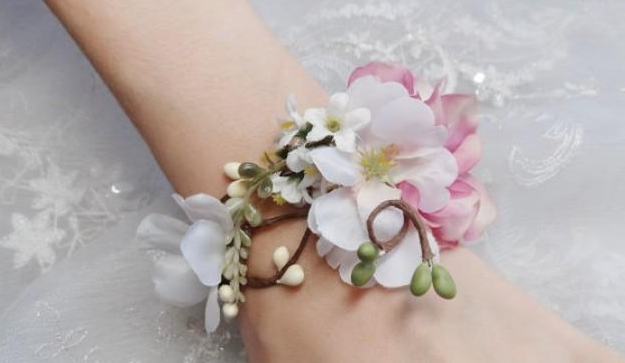 From the tiny veins to the smooth and silky flower petals, these flowers will be the talk of your wedding. Imagine someone sneezing in the audience when you are just about to say "I do", not quite a pretty picture, is it? Nobody wants to suffer from watery eyes and sniffles on their wedding day, never mind a puffy red nose when it's time to have their pictures taken. 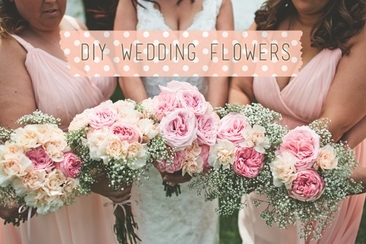 Save yourself the trouble and invest in fake flowers for weddings. 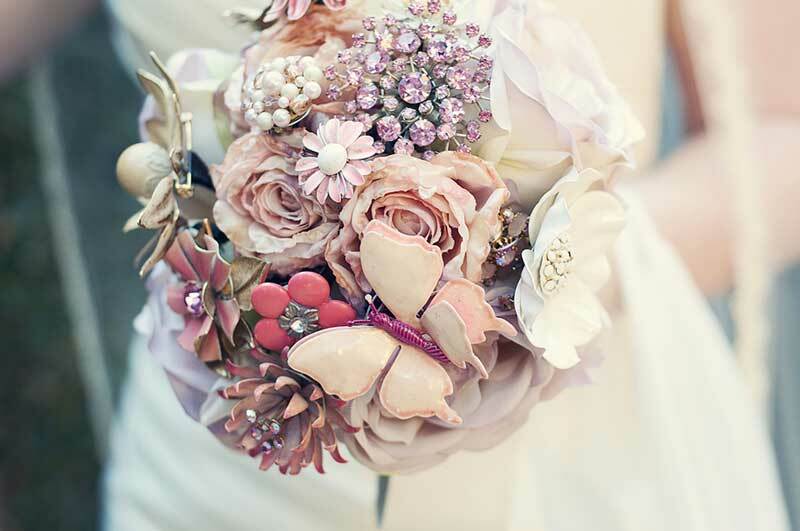 Wouldn't it be nice if you could cherish your bridal bouquet for years to come and even for your whole life? 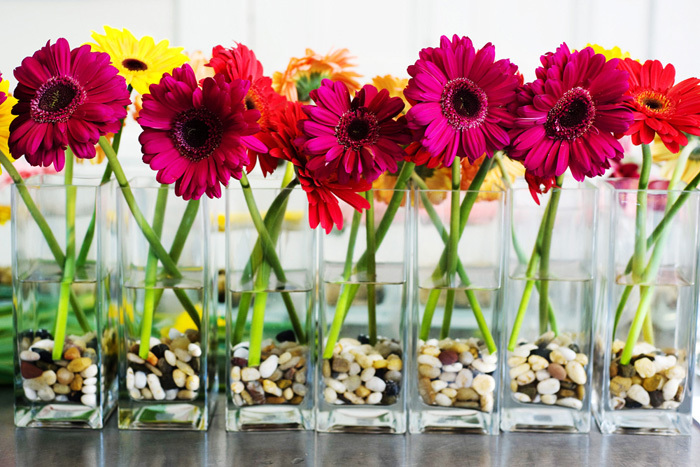 The artificial flowers will never wilt, and you won't have to worry about snapped stems and wilting flower petals. Many couples are now making it a practice to hand out flowers from their wedding day to family members and friends who have played a significant role in the lives of the happily wed.
Opting for artificial flowers means you no longer have to worry about buying your flowers on the day before the wedding and then figure out a way to keep them chilled, so they stay fresh for your magical day. Artificial flowers are lightweight, easy to pack and easy to transport any time, any place. 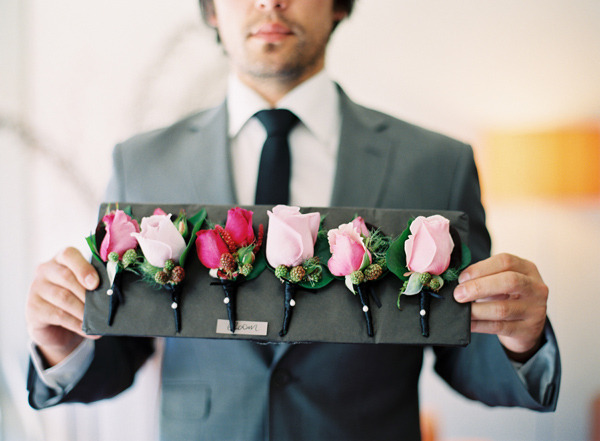 You can even pack your bridal bouquets in your briefcase or in a carry case if you are in a rush; just a few tweaks and its good as new. There's no denying you get the best value when purchasing fake flowers in comparison to real flowers. Fake flowers will cost you half the amount and have double the life. However, you should know some kind of fake flowers may cost even higher than the real ones. Your wedding day should be all about you and should reflect your personal style. Whether you choose to have a glamorous wedding or wish to go with a pretty pastels theme, artificial flowers will go well with just about any theme you can think of. From traditional to bold and quirky, your options are limitless. 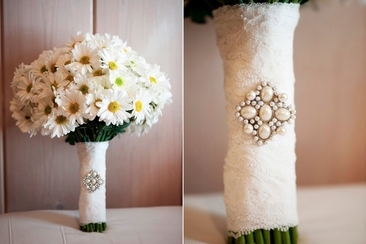 So, now that you have decided on fake flowers for your wedding day, it's time for you to get creative. 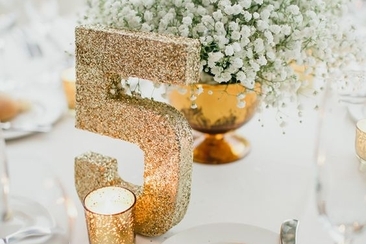 The following are just a few ways to incorporate artificial flowers on your wedding day. A future bride can't possibly walk down the aisle without the perfect flower bouquet, which is just as important as the wedding dress. A bride just seems incomplete without it. Here are some fake flower options to choose from. 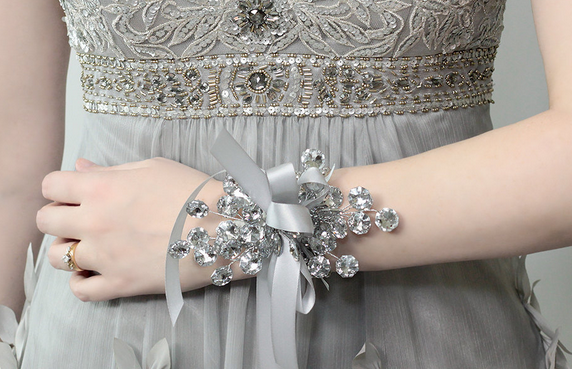 The perfect wedding isn't complete without a wrist corsage that matches your wedding dress and boutique. 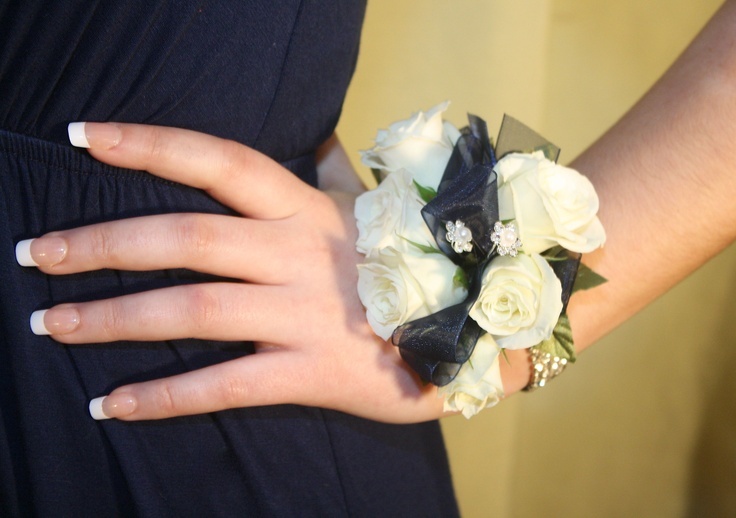 Make your wedding day more memorable by opting for a wonderful corsage. Surely, the groom needs to look his best on his wedding day. 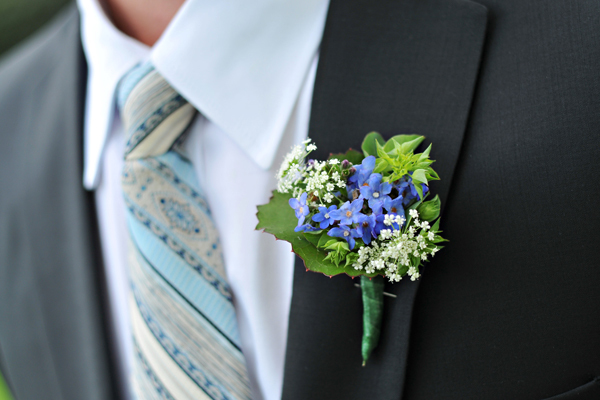 Wearing a fancy or low-key boutonniere is the easiest way to add elegance to his attire. Choose from these elegant floral decorations to make your wedding day the best day of your life. 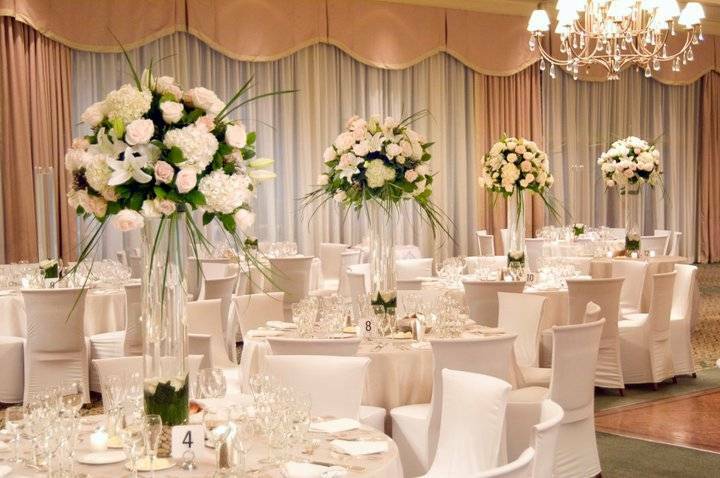 You can't go wrong with flowery centerpieces and flower petal decorations. Your wedding day is the most important day of your life. Free yourself from the stress of using real flowers that wilt away with time. 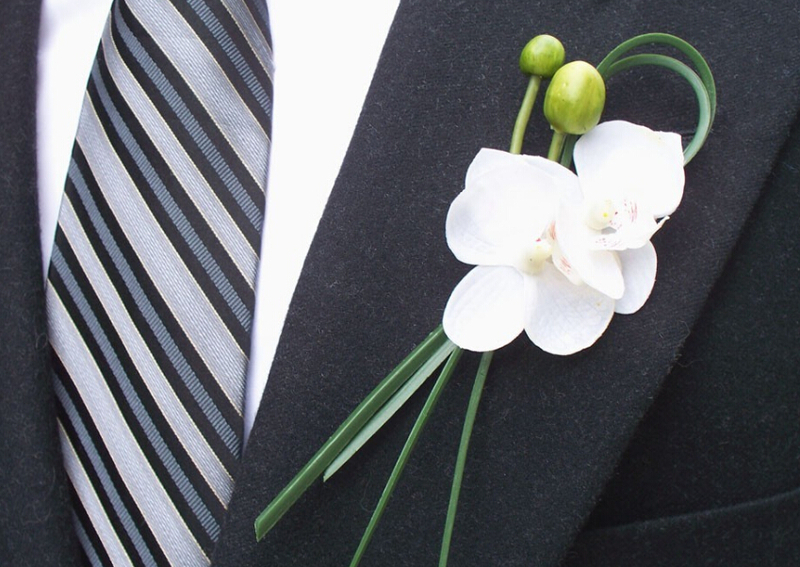 Cherish your memories forever using fake flowers for weddings. You won't regret it. Finding a variety of February flowers that in season can be a challenge, but this list reveals a number of beautiful flowers you can use in any arrangement for your February wedding. Preserving wedding bouquet is an easy process that can be done quickly and effortlessly, like hanging it or using a vase. Learn the process to preserve wedding bouquets here. If you want to learn more about how to make a wedding bouquet, this full step-by-step guide will help you perfect the art of creating a bouquet of your own. Flowers are very expensive, if you are on a budget, check out our list of cheap wedding flowers: everything from affordable seasonal flowers to different ways of reducing the costs. 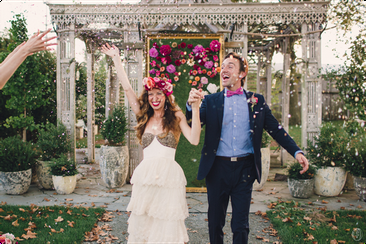 Want to take your wedding from gloom to bloom? Follow these simple wedding flowers ideas for the perfect floral arrangement to compliment your perfect day.